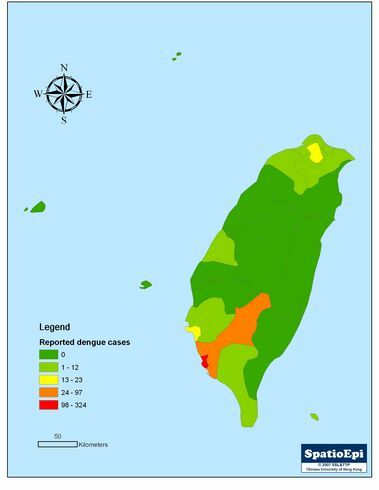 In 2014, over 40,000 people in Guangdong were reported to have dengue virus infection. 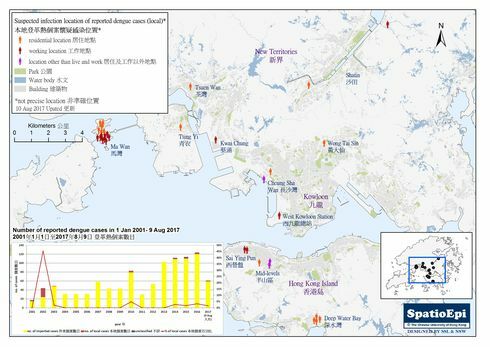 The map shows the distribution of newly confirmed dengue cases in Guangdong between 22 September and 2 November, 2014. 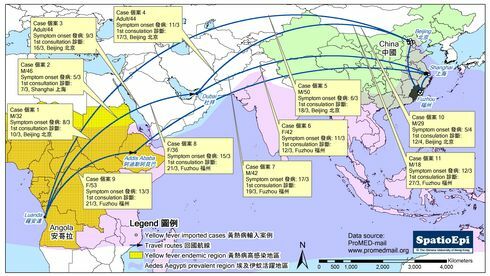 In these six weeks, there were about 37,000 confirmed dengue cases, most of whom resided in Guangzhou. 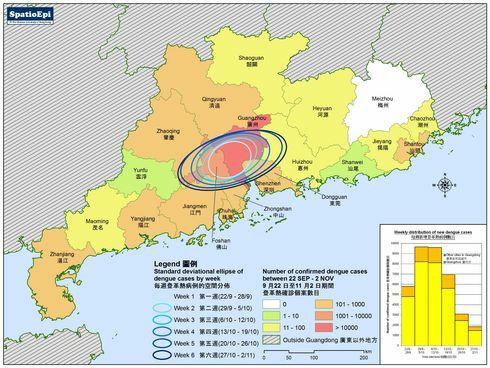 As shown by the standard deviational ellipses in the map, the dengue outbreak began in Guangzhou and Foshan. 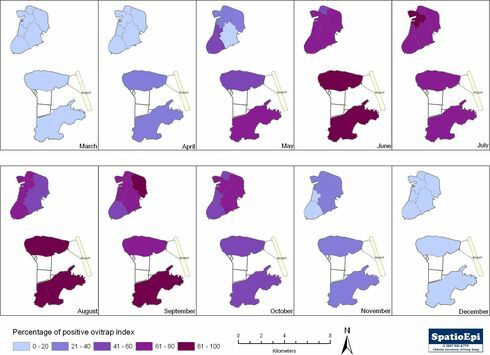 In the following 5 weeks, the ellipses have centred on the same area and expanded in size. 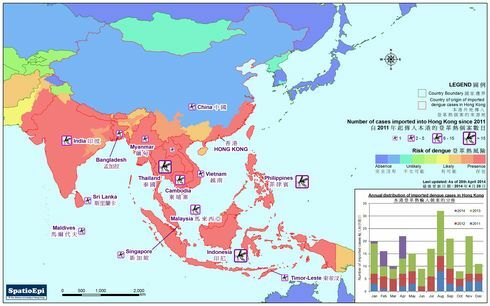 While the number of incident dengue cases in Guangzhou peaked between 29 September and 12 October, increasing size of the ellipse suggested an expansion of the areas affected by dengue. 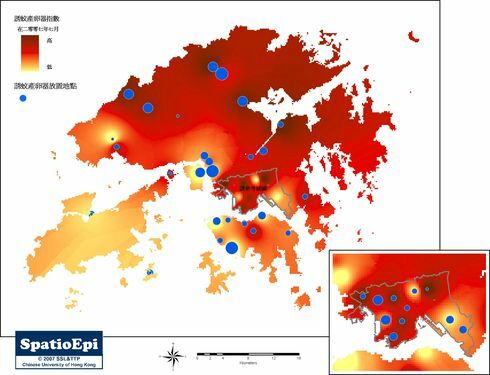 As compared with other cities in Guangdong, a lower proportion of cases in Guangzhou in the ensuing three weeks might have contributed to the further expansion of the ellipse. 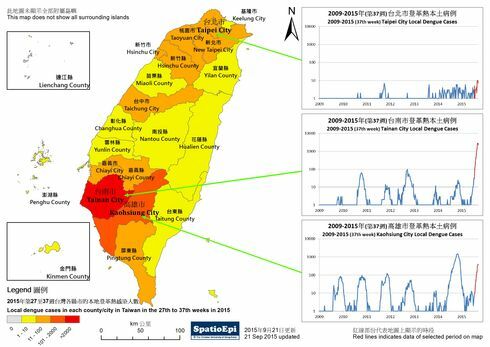 Data for the map were obtained from the website of Health Department of Guangdong Province.